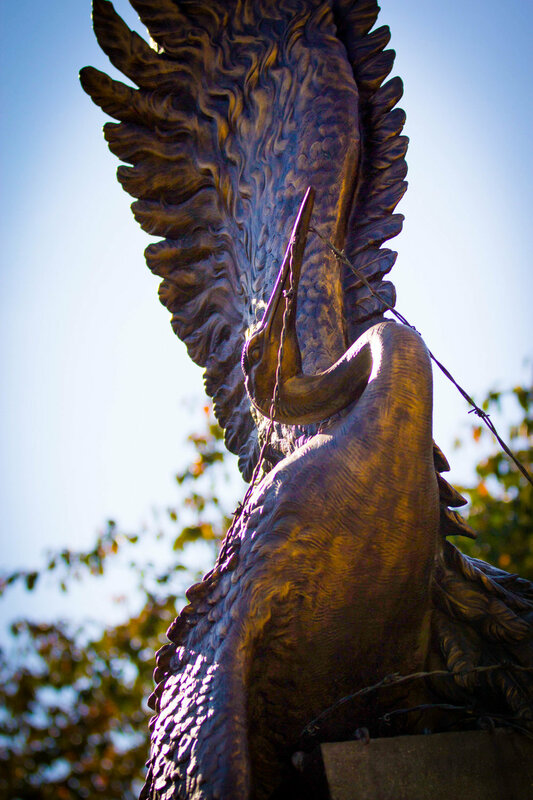 A central feature of the Memorial is a sculpture by Nina A. Akamu. As a child Nina and her father would go fishing in Pearl Harbor where the rusting remains of ships destroyed in the Japanese attack could still be seen. She was aware of Pearl Harbor for another reason: her grandfather, Hisahiko Kokubo, an immigrant from Japan who had lived on the island of Kauai for more than 40 years, was among the first in Hawaii to be jailed by federal officials after the outbreak of war because of unsubstantiated suspicion of disloyalty. Kokubo was interned on Sand Island near Honolulu Harbor. Three months later he died of a heart attack, the first Japanese American in Hawaii to die in internment. "The death of my grandfather," Akamu said, "stripped of his civil liberties, is a powerful metaphor for the fragility of human freedoms."